THAT L.A. 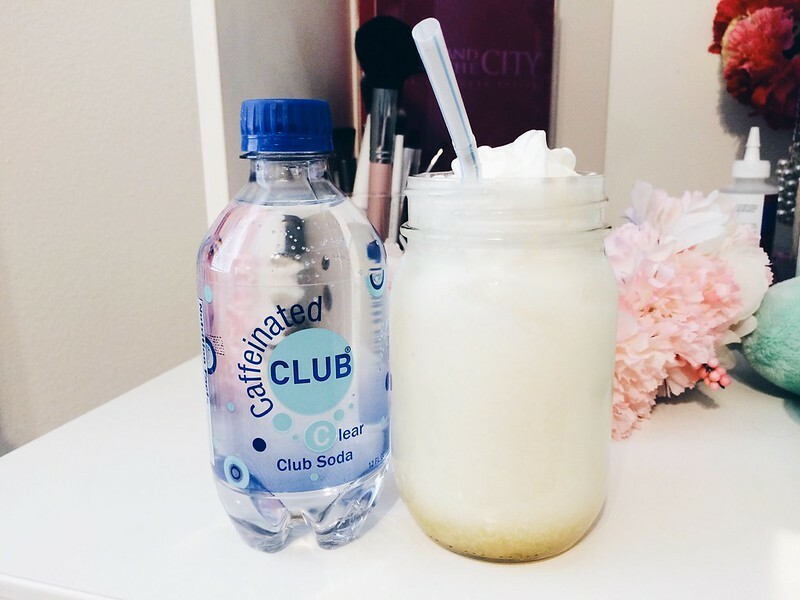 IT GIRL: Caffeinated Club flavored club soda + Italian Soda Recipe! 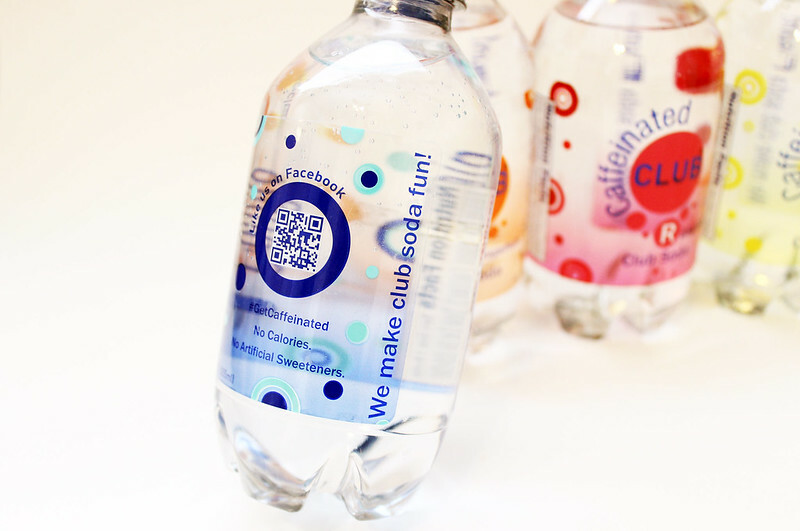 Caffeinated Club flavored club soda + Italian Soda Recipe! Hey guys! For those of you who are wondering, I've been on a serious health kick lately. I've been trying to eat healthier, and exercising is an automatic thing for me now. Other than exercising, I've always been about eating cleaner, and trying to cleanse my body of things that aren't good for me. 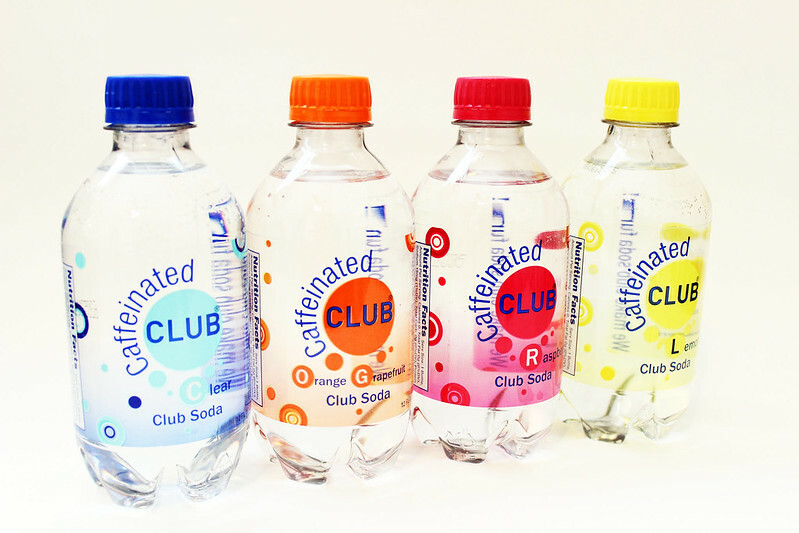 Which is why when I found out that Caffeinated Club flavored club soda was available, I was instantly intrigued! This club soda comes with a boost of caffeine and is a great tasting choice for soda drinkers looking to give up sugar and artificial sweeteners. It's also good for coffee drinkers looking for an alternative that leaves their breath fresher, is calorie free and is convenient to take anywhere. It's for anyone who wants a refreshing lighter alternative to overly caffeinated strong tasting energy drinks. These drinks come with no sugar, no calories, are delicious, and guilt free! 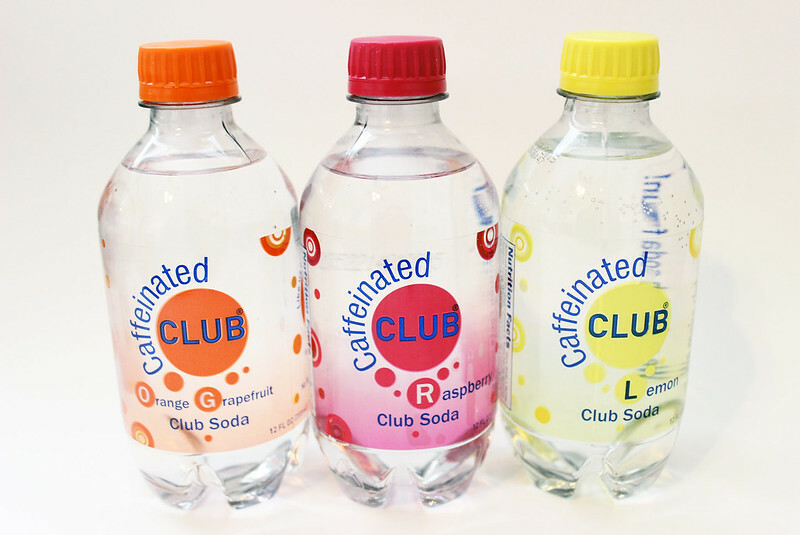 Some points I want to make with Caffeinated Club flavored club soda is that one bottle has about the same caffeine as an equivalent serving of Coca Cola. 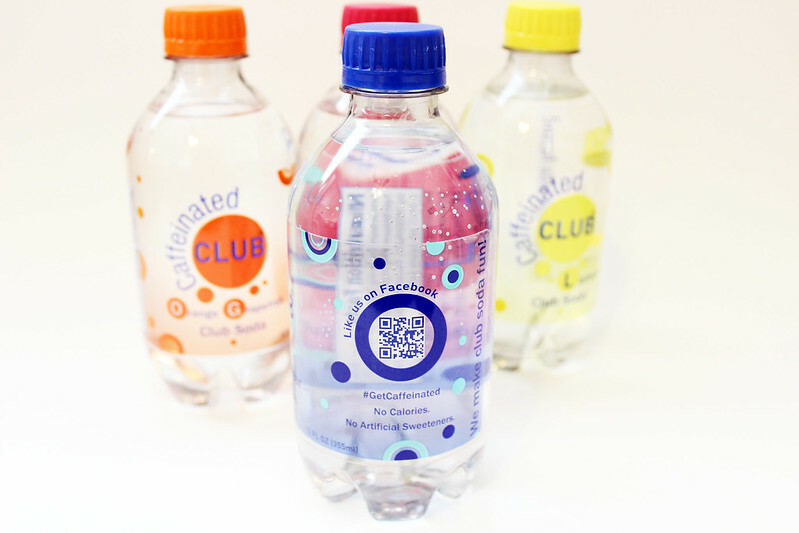 They are produced in small batches, and unlike large manufacturers, Caffeinated club uses only triple filtered water for a crisper beverage with a cleaner aftertaste. Another thing I wanted to touch up with you guys is that you can make all sorts of drinks with club soda! When I was in college, and working at a coffee bar, one of the drinks we offered were Italian sodas, and I loved those! So I've decided to include a recipe below for those of you who are curious about how these Italian sodas are made! 2 shot glasses full of any kind of fruit syrup (Or you can make your own, by simply making a simple syrup, 1 cup of any kind of fruit, frozen or unfrozen/1 cup sugar/1 cup water) If you are looking to buy some fruit syrups I've found that World Market has a large selection of them. I used mango in mine in the picture above. 1. First you want to put the syrup into the cup. 2. Pour in the club soda. 3. Last put the heavy cream, or half and half to the top of the cup. For those of you who like iced drinks you can then put a couple ice cubes into the mix. Feel free to add a little bit of low fat whip cream on top, if you want. Stir with a straw, drink and enjoy. Recipe makes a 16 oz glass. If you have a chance please check out CaffeinatedClub.com. And if you order online, they offer free shipping in the continental USA. Interesting. I've never thought to incorporate caffeinated water into my workout. Cool! nice review! I've never seen such a brand like this before. It's really good to hear that you've been doing healthy lately! Thanks, trying to get the body back in shape! Hey that is a good choice for people that do want a boost but not the added sugar of cola. I never drink cola or soda but LOVE seltzer. Though only have one cup of coffee day and that is all I need. Interesting review. Never heard of Caffeinated Club before this post. What are the ingredients in this soda? I'm curious what they used to make their flavorings & if there are other additives in the soda. Haha I like that you talked about being on a healthy food kick, yet there's this really unhealthy recipe for Italian soda at the bottom. I think the best replacement for any kind of syrup is probably just freshly juiced fruit. Instead of heavy cream which is already so unhealthy, half & half is a better alternative or even soy milk, almond milk, or coconut milk. Italian sodas are delicious, but definitely not healthy! Ingredients: water, natural flavor (for the colored ones, like the lemon, etc. ), potassium sorbate, sodium benzoate, caffeine. I don't drink italian sodas often. I have cheat days, and on those cheat days, sometimes I like to treat myself to a little unhealthy item. But yes I do make my own syrups from scratch. And I do use half and half. I would like to use coconut milk, or almond milk, but I ran out of those when I made the recipe.